Ning try to cut the cake. 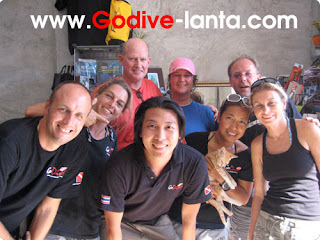 Thank you for taking open water course with Go Dive Lanta. 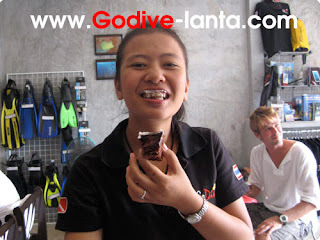 Thank you very much for taking Open Water Diver Course with Go Dive. 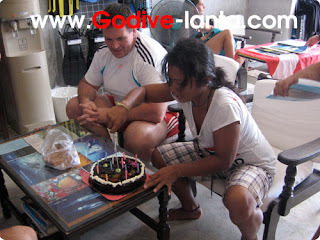 David and Hilda taking Discover Scuba Diving Course then continuous to do swimming pool skill then finished 2 dives at Ko Bida. 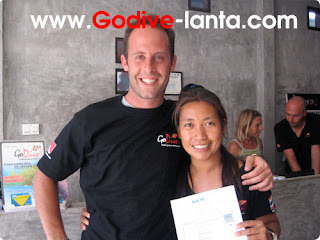 Thank you Rich for taking Open Water Diver Course with Go Dive Lanta. 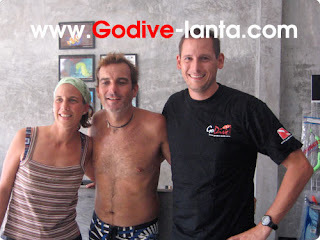 After recommend from his friend, Richard come to Ko Lanta with Frank and dive with Go Dive. 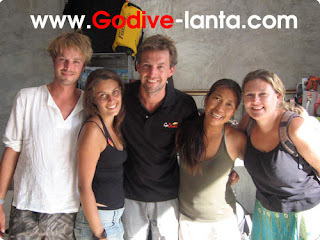 Thank you very much for diving with Go Dive many day. 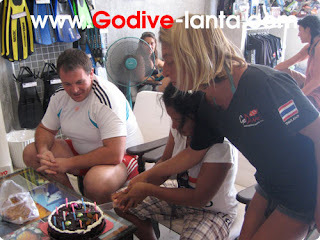 We are very appreciated Armin come back to Ko Lanta for diving with us after 2 years. 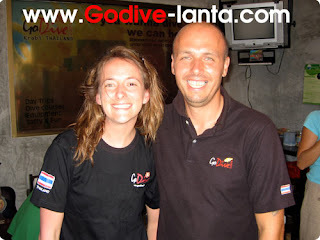 Andrew and Heidi decided to taking Advanced Open Water Diver Course then diving with us many day. 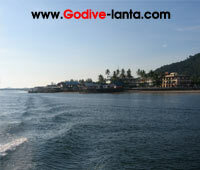 Hope to see you next season for Whale Shark!! 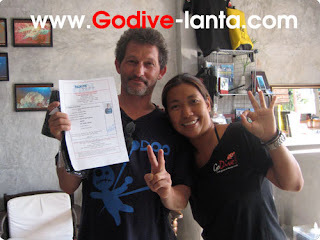 31st Jan 2009 Thilo and Franca finished Open Water Diver Course with Instructor Dene after taking Discover Scuba Diver Course (Try Dive) at Koh Ha. Newest Open Water Diver Today!! 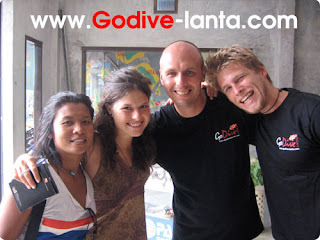 Thank you so much for diving with Go Dive Lanta. 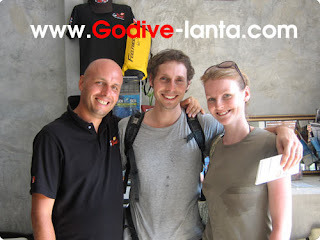 Caroline come from France to do Open Water Course with us. Hope to see you next level!